“I know this book won’t be a bestseller, but if it touches just one person then it will have been worth it,’ said Giancarlo Trepans, at the Forum Dialog this afternoon to launch the ‘Writer’s Under Attack’ publishing programme by the two-year-old Italian publishing house Neftasia Editore. Trepans is the author of the novel ‘How Long Since,’ one of the first titles published in the series. The novel depicts an encounter between a priest – one who has devoted his life to saving exploited children in places like Sierra Leone and Chechnya – and a journalist who wishes to record the stories. Neftasia publisher Stefania Campanelli said the series will focus on publishing the works of writers who have been persecuted, censored or exiled. One book will be published in the series each month and a total of 15 titles is already planned. Campanelli is seeking a partner to publish and distribute the books in English. Musa Mutaev, a Chechen writer who lives in exile in Norway, presented a short reading from his new collection of short stories ‘The Green Sun,’ also among the first titles to be launched. 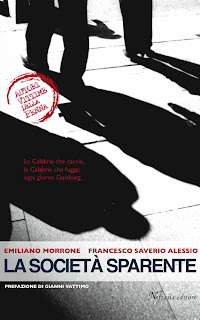 Also among the first four title are ‘I Am Guilty,’ a collection of essays by the Bangladeshi writer Salah Uddin Shoaib Choudhury and an anti-mafia tract by Italian journalists Emiliano Morrone and Francesco Saverio Alessio entitled The Disappearing Society. Dr. Johano Strasser, president of PEN Germany, remarked that the ‘Writers Under Attack’ series is likely help raise awareness of the persecution of writers beyond the obvious countries – China, Cuba, Iran, Eritrea and Myanmar. ‘This, in itself, makes the project a worthy thing to do,’ said Strasser. Neftasia is already helping to instigate change: The publisher has convinced its hometown of has to join the International Cities of Refuge Network (ICORN) which offers a safe have to writers in exile. You really are a extremely wise particular person!